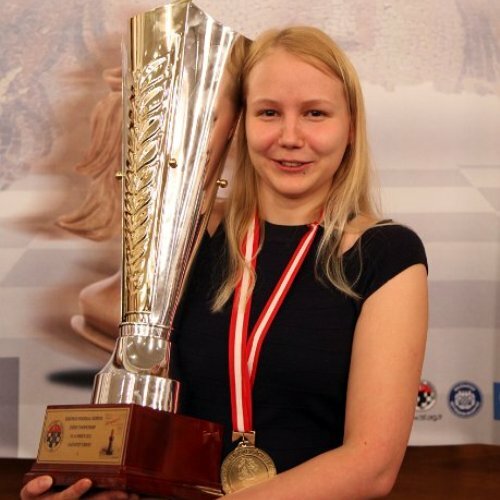 In the fantastic turn of the events in the final 11th round of the European Women Championship in Gaziantep, Turkey, IM Valentina Gunina defeated the earlier leader GM Anna Muzychuk and claimed the title of the European Champion. Top seeded Muzychuk was a whole point ahead of the nearest followers before the last round and needed only a draw to secure the clear first place. But Gunina, playing white pieces, applied strong pressure on the black position and eventually crashed through the defences to take the much valued point. In another important game Tatiana Kosintseva skillfully outplayed Nana Dzagnidze with black pieces to collect 8.5 points and join Gunina and Muzychuk on the shared first place. Replay the games with computer analysis. 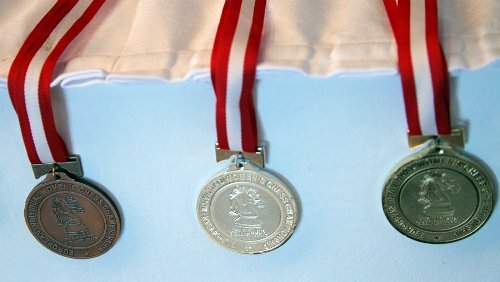 Gunina is declared champion on the best tie-break (rating performance), Kosintseva earned the silver medal, while Muzychuk took bronze. The 2011 European Champion Viktorija Cmilyte is clear 4th with 8 points. Top 14 players qualified for the World Cup – full standings on the official website. The 2012 European Individual Women Chess Championship was played from 2nd to 13th March at the Anatolian Hotel in Gaziantep, Turkey. European Rapid Championship and European Blitz Championship will follow at the same venue on 15-18th March. The Turkish Chess Federation, by the sponsorship and support of Gaziantep Metropolitan Municipality, under the auspices of the City of Gaziantep and the European Chess Union, has provided the prize fund of 150.000 EUR for all three events. 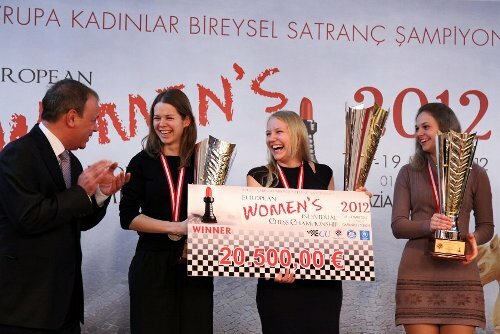 This is the biggest prize fund in the history of European Women Chess events. Also for the first time the European Women Champion will get the higher prize (20,500 EUR) compared to the winner of the European Individual Championship, which will be held later this month in Plovdiv.